While “starving yourself” may not seem like the healthiest thing to do, there are many health benefits of fasting that often go overlooked and many aspects of fasting that are misunderstood. 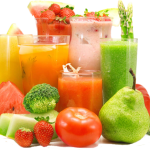 Especially beneficial is fasting with juicing, which allows you to continue to get all the nutrients you need – typically even more than the average human gets while following a “normal” diet. Fasting most typically is used for weight loss these days, yet has been used for thousands of years as a form of detoxifying the body and flushing out all of the harmful chemicals that have built up in our systems. Following a juice diet can help heal many illnesses, as you are giving your body solely what it needs to function properly and nothing that hinders this. Eating whole foods takes a lot of energy due to the length and difficulty of the digestion process. Because juicing removes the fiber from fruits and vegetables, the part of digestion that processes fiber is cut out of the equation. This leads to an excess in energy and gives your body a break from trying to process many different types of food. Though the body is made to cleanse and detoxify itself naturally, over the years so many toxins and chemicals get built up in our systems that it gets harder and harder to fully detoxify on its own. Through the health benefits of a fasting diet, you are allowing your body to get rid of these toxins at a much faster rate – leading to a much cleaner slate than you started out with. This is especially helpful for people who are trying to lose weight, as it’s a quick way to shed a few pounds while ensuring that you’re starting your diet at your peak health. 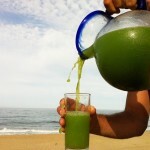 So, how exactly does fasting with juicing help detoxify the body? Fasting with juicing increases the total count of white blood cells, which in turn boosts your immune system and helps protect against many different diseases. It also aids the circulatory system, which improves the overall quality of your skin, hair, and nails. 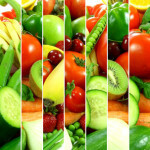 When foods are cooked, many of their vitamins, minerals, and enzymes are destroyed by the heat. Making them into juice allows for your body to reap their benefits to the fullest extent. These juices counteract the acidity of the typical human diet since they are mostly alkaline – an important balance of the two is crucial for good health. They also boost the cells ability to absorb nutrients and eliminate waste. 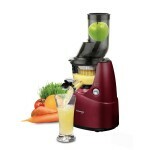 How do I know what combination of fruits and vegetables to use in my juices? When fasting with juicing, it’s important to make sure that the amount of vegetables in a juice exceeds the amount of fruits. Fruits are typically higher in sugar and calories, which is something you are trying to avoid through this fast. 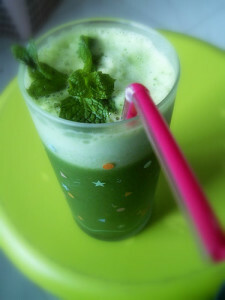 If you’re just starting out, adding an apple or a pear to your drinks will help mask the bitter flavor of greens. Some key ingredients to focus on? Carrots, kale, and beets. Carrots are chock full of Vitamins A, B, C, D, E, G, and K, and are high in potassium, calcium, magnesium, and iron. Fasting with juicing can improve eyesight, aid in the treatment of ulcers and various types of cancer, as well as improve your hair, skin, and teeth. Kale has one of the best nutrient to calorie ratios, and packs in Vitamins A, C, E, K, fiber, folic acid, and chlorophyll. This leafy green helps improve circulation, strengthen the immune system, increase energy, and eliminate symptoms of depression. Beets are high in Vitamin B and C, as well as folate, manganese, potassium, magnesium, iron, copper, and phosphorus. 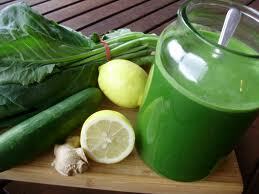 They are incredibly helpful for cleansing the blood and liver. I’m still not sure how many of each ingredient to put into my drink……. While there are plenty of juice recipes for weight loss available on the Internet to play around with, here are a couple to try if you’re just starting out and are scared of “green drinks”. I promise, they taste much better than they look! By following the approximate portions of these recipes, you can mix and match your favorite fruits and vegetables to create a wide variety of drinks. Put all the ingredients through your juicer and enjoy! There are many health benefits to be found through fasting with juicing, and there are even health benefits of fasting every other day. There’s no one right way to do it, just figure out what ingredients work for you and how often your body can fast. A healthy way to lose weight and cleanse your body? You can’t lose!